FOX network execs addressed the critics yesterday at the TCAs, but had little to say about two of their sophomore shows The Orville and The Gifted. Both shows debuted last year to decent ratings and both were among the network’s top performers in Live+7 delayed viewing. But this year, they have experienced notable ratings drops. 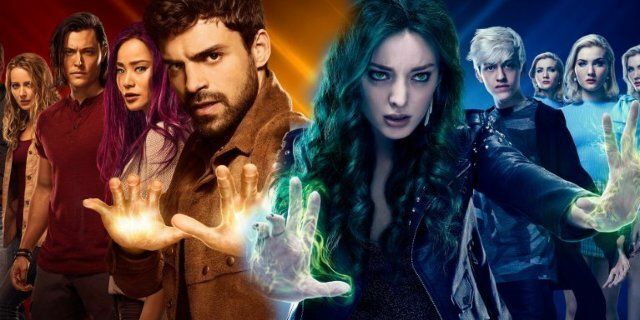 The Gifted returned in Fall and has only averaged a 0.6 rating this season based on same day viewing for the 18-49 demographic in its second season. That is down 37% from last year’s numbers and it is currently one of FOX’s lowest rated shows. The Orville had a Mid-Season return and has only averaged a 0.7 rating in the demo in its Thursday night timeslot (it’s Sunday Season 2 debut was higher, but it got a boost from football). That show is down 30% year-over-year, but its numbers have at least held steady the last few weeks while The Gifted has seen a drop (and the frequent pre-emptions are doing nothing to help that one). Of the two shows, I believe that The Orville has the better chance for a third season renewal. It’s same day ratings are down, but it is still showing strong gains in delayed viewing. That latter stat typically does not hold much weight with the broadcast networks because they make their money off advertising that is driven heavily by the same day viewing numbers. But in the current ratings-challenged environment, I’m thinking most networks would be leery about cancelling one of their top-performing delayed viewing shows. Another point in The Orville‘s favor is the fact that it is has been approved for notable tax credits if it produces a third season in California. That could definitely help offset its rather large production costs. In addition, Seth MacFarlane has some influence at FOX seeing as his animated series Family Guy has made the network quite a bit of money. Plus, FOX may be hesitant to cut short another fan-favorite sci fi series after the heat it has taken from shows like Firefly, Terminator: The Sarah Connor Chronicles, Almost Human, and more. As for The Gifted, the prospects are not quite as bright. That series numbers are down significantly right now, and it has not been seeing strong delayed viewing gains like it did last year. Series creator Matt Nix talked about the show at the TCAs, but did not seem too optimistic about its future. He said that the cast and crew would “love to do it again” if it got renewed. But he was not certain how Disney’s buyout of FOX would affect the show: “nobody would want to come back to terms that made it impossible to do a good show, and frankly we wouldn’t say yes to that”. Nix also suggested that the second season finale will wrap up many of the storylines: “there is no question if we don’t come back that we have told a story”. With the less-than-rosy picture Nix paints and the fact The Gifted currently stands as the network’s lowest rated scripted series, I don’t like its chances at the moment. There is one additional factor that could impact these shows, and that is the Disney buyout of FOX (watch out, because the Mouse House will be buying you and me soon). Management changes like that tend to come with a house cleaning, especially of the under-performing shows. Plus, Disney could be planning on revamping the X-Men characters with future big screen projects on the horizon. Since The Gifted is directly tied to FOX’s X-Men movies, Disney could decide to call it quits for the spin-off series (FX’s tangentially linked series Legion is ending with its upcoming third season). I believe the buyout will go worse for The Gifted, but The Orville is not safe either, especially if its numbers drop any further. Bottom line: I like the chances of The Orville at this point, but want to see how it tracks in the coming weeks. The Gifted is definitely in trouble and I believe the creative staff could see the writing on the wall, thus their attempts to wrap things up. And the Disney buyout is an intangible at the moment that will likely have a more negative impact than positive. Both shows could definitely use a Call to Action from fans on the social networks to give them a boost and bring more attention to them. Join the discussion on this subject over at r/SciFiTV. The TCAs are going on currently when the networks talk with the critics about their current and upcoming schedules, so expect plenty of breaking news over the next week or so. Be sure to stay tuned to this site and the Cancelled Sci Fi Twitter Site for news updates as well as the latest ratings results.